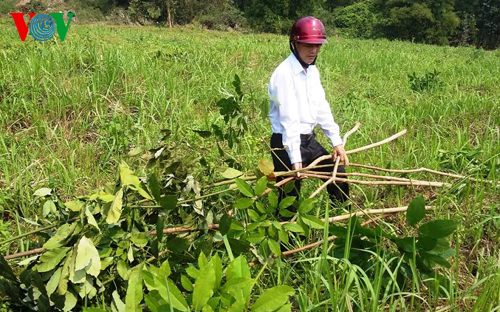 THANH HOA (VNS) — Thousands of young rubber plants have been destroyed due to sabotage, causing extensive losses to farmers in NhU Thanh District in the northern-central Thanh Hoa Province. Le Ba Tâm, a farmer, said more than 1,000 three-year-old rubber plants had been cut down by saboteurs since last Saturday, causing losses of more than VND100 million (nearly US$5,000). "This means all of my family's savings have disappeared," Tam said. The farmer found that saboteurs had used knifes to destroy the plants. He was very worried about the situation and had asked for urgent help from the local authorities. Chief of the district People's Committee's office Le Viet Ha said the district has been co-operating with the local police to investigate the situation.